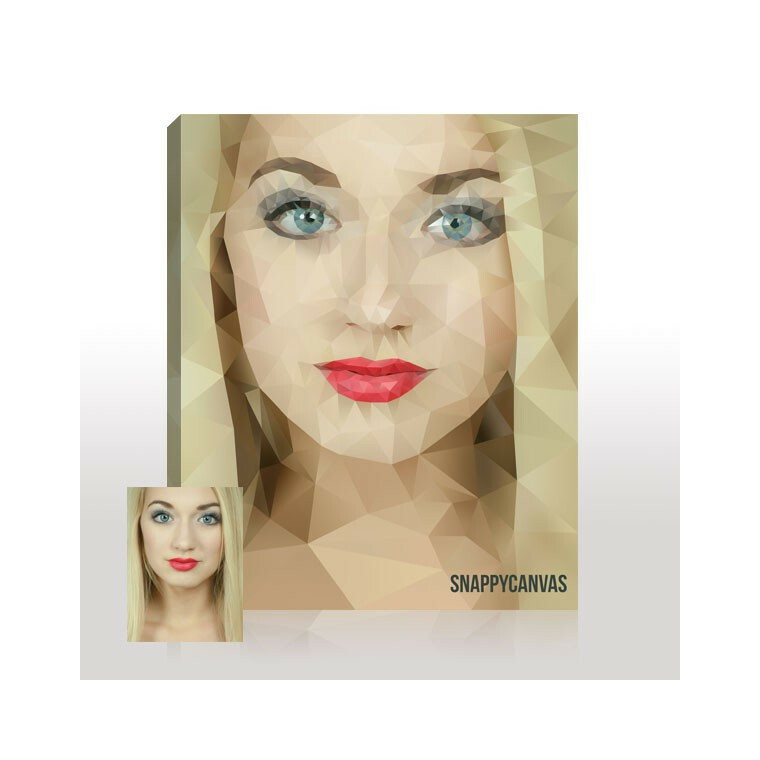 Create a cutting edge look for your digital portrait on canvas with this innovative style. It's versatile and geometrical style owes its origin to digital gaming and 3d modeling. The future of portrait art is here now. By buying this product you can collect up to 57 loyalty points. Your cart will total 57 points that can be converted into a voucher of $11. You will be amazed when you see your photo changed into our Ask Poly style by our professional digital portrait painters. You can't go wrong with this modern poly style which is perfectly suitable for people, pets, and even family portraits. Let us turn your photo into a portrait that defies age and time. Your unique personalized Ask Poly photo will impress your friends and family. 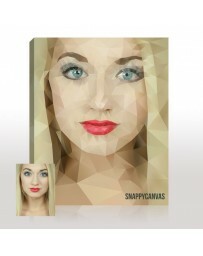 So upload and order now and we'll use your photo to create a wonderful Ask Poly work of canvas art! 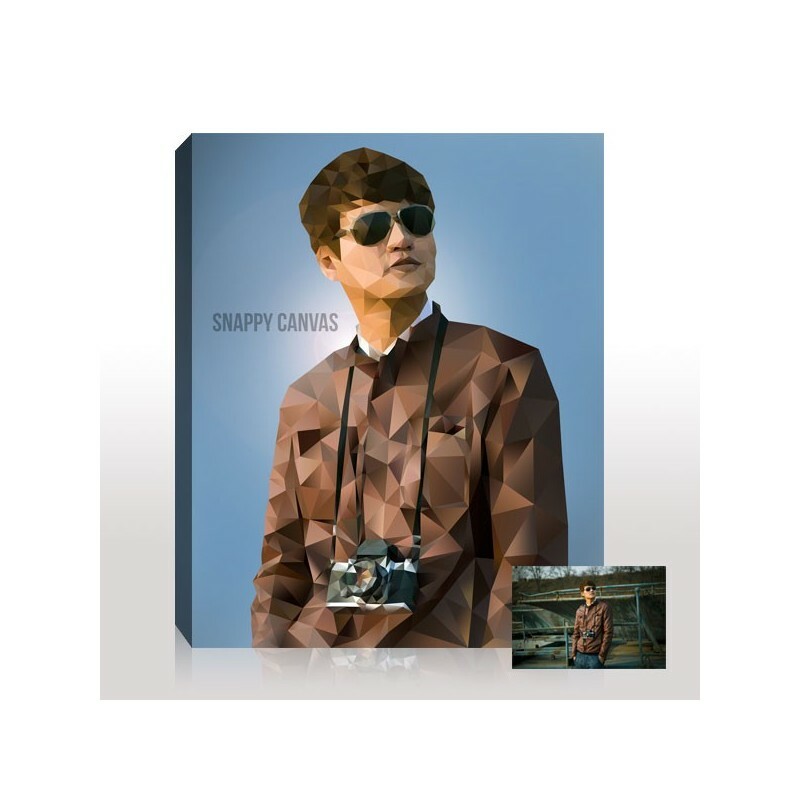 Highest Quality Fine Art Canvas Material for maximum durability and appearance. 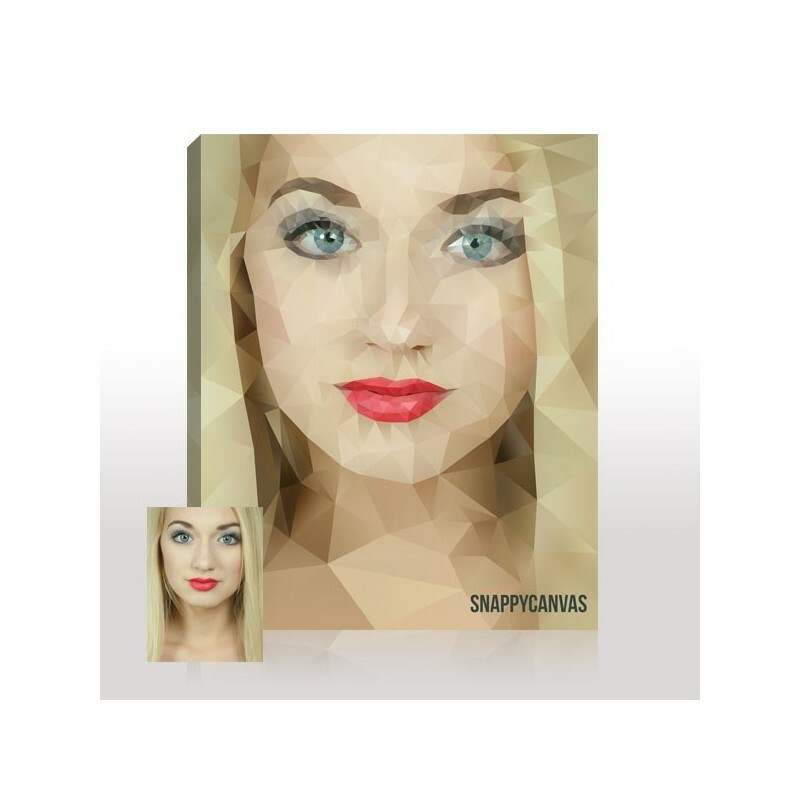 Each Canvas is specially coated to increase longevity and enhance beauty. 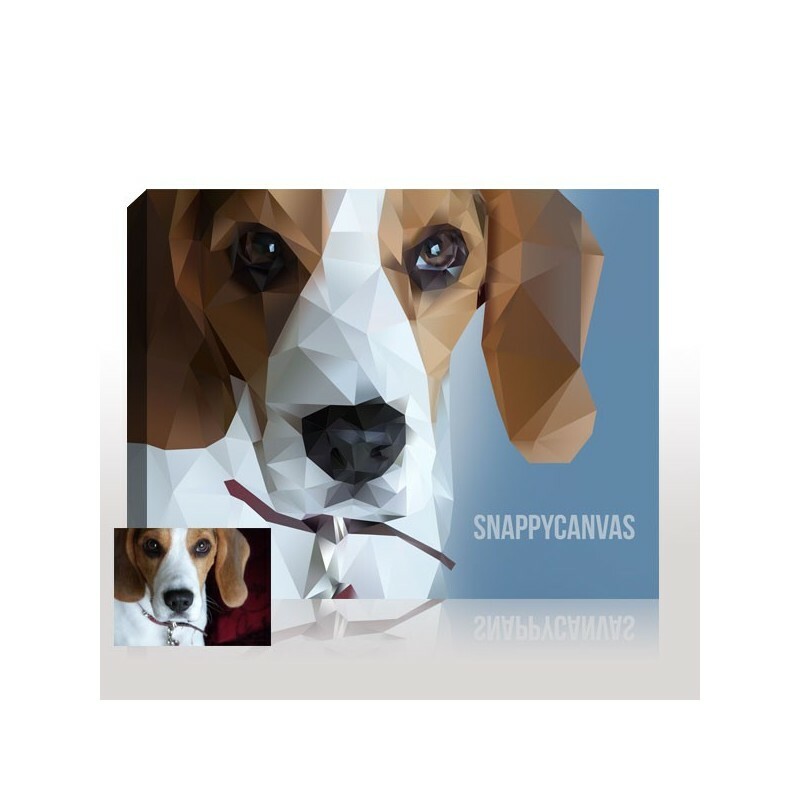 E-Proof - Choose this option to have a digital proof of your canvas sent to your e-mail. If you would like any changes upon seeing the proof our artists will accommodate any reasonable requests you may have. 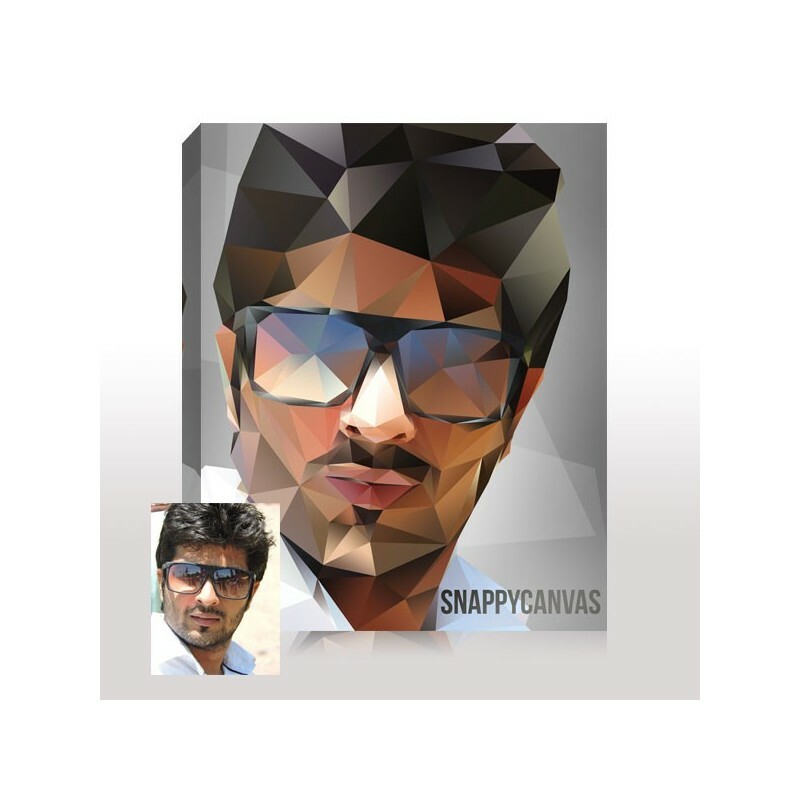 Please note that this could lengthen the time before you receive your canvas..
Requests - If you have any special request or would like to specify what colors you would like to be used please include a note with your order or email to customercare@snappycanvas.com. The canvases both are stunning. Really shows the beauty and the dark side of our trip to Africa's slavery coast. I will definitely keep your company in my contacts for the future and pass on the information to anyone that asks about our prints.Thanks,Pierre D.
SnappyCanvas was amazing! You can't beat their customer service. They were able to answer all of my questions extremely fast and communicated everything that was happening. The canvas of out beloved Shilo made his memory come alive. Everyone was beyond impressed with the work they can do with any size photo My family couldn't be happier!Thanks so much, Amy G.